The long-standing cultural links between Paris, Rio de Janeiro and Buenos Aires served as inspiration for our musical journey. Our guides for this voyage were some of the most popular Argentinean, Brazilian and French composers from the first 60 years of the twentieth century. Their works also inspired our improvised interludes. 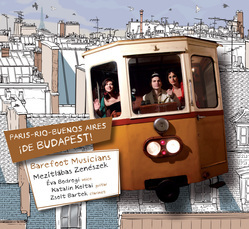 As our musical journey unfolded from concert to concert, we noted that the sounds and places of our own hometown, Budapest, became evermore interwoven into the work. We came to understand that we were being influenced not only by the music of the three foreign cities, but also by our own environment as well. The beauty of Antonio Nava’s flute and guitar duets takes us back into the world of 18th-19th-century middle-class Milan and evokes the colorful atmosphere of the melodramas of the theatres of the time. 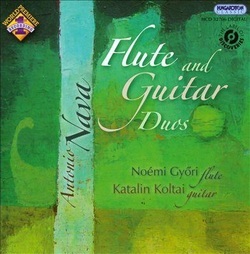 Flutist Noémi Győri and guitarist Katalin Koltai founded the Dialogue Duo in 2002. The duo has a highly unique and wide repertoire: besides being confident in playing the standard flute-guitar duo literature, they take special pride in having created a range of own transcriptions of sonatas by Haydn and Mozart and as devoted contemporary music interprets continuously cooperate with composers, premiering pieces dedicated to them. The Guitar concerto: Variations on “Branchwater” was written in 1988. 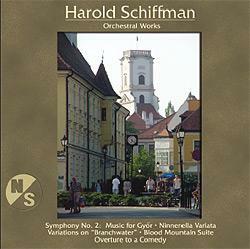 The theme, “Branchwater,” is followed by seven variations, a cadenza, and a finale. Schiffman: "Rather than send musicologists and folklorists on a wild goose chase, I have decided to admit that “Branchwater” is not a folk song at all, but a tune I composed specifically for this piece. I chose the name because, as all good Southerners know, the best way to enjoy the delights of Bourbon whiskey is with a little plain water commonly called, in the American South, “branchwater” (or sometimes simply “branch”), as if it came from a creek." gentle and alluring. I genuinely enjoyed it!" 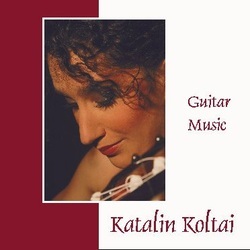 Expert performances by Mátyás Antal and the Győr Philharmonic, with Katalin Koltai the solo guitarist."